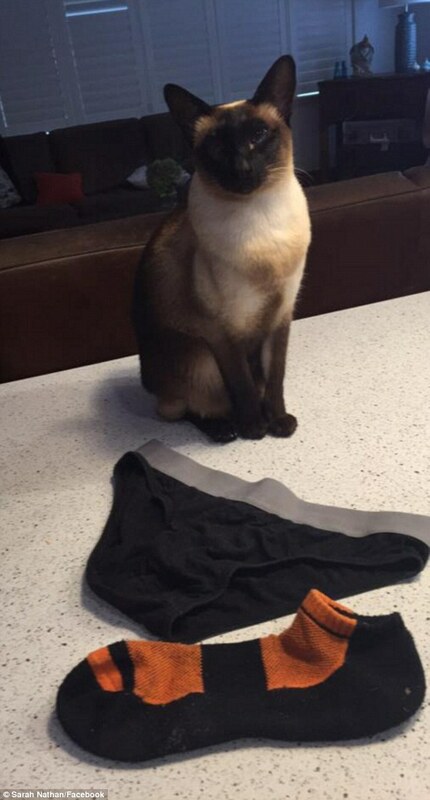 A cat with sticky paws and an affinity for men's underwear and socks has been stalking neighbourhood clotheslines in the middle of the night. 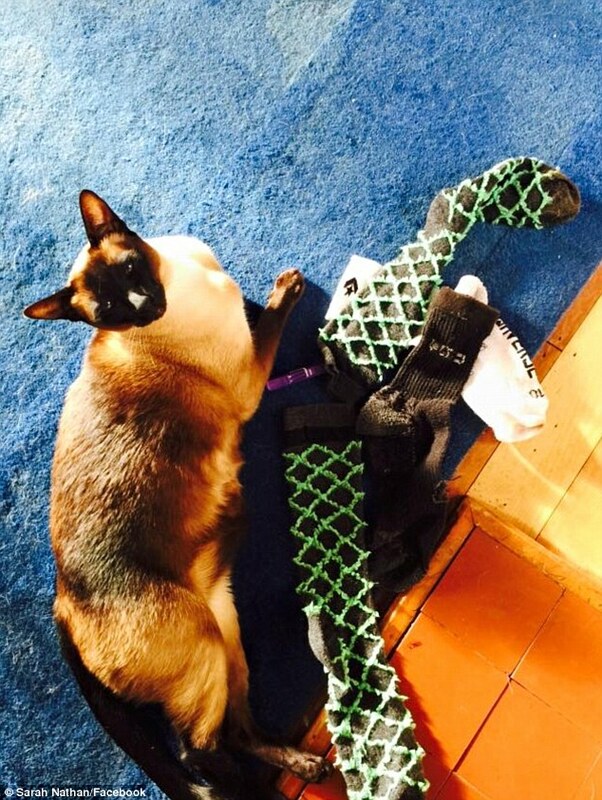 Brigit, a six-year-old tonkinese cat, prowls the streets of Hamilton, New Zealand, every night and often places her treasures on her owner Sarah Nathan's bed in a proud display. 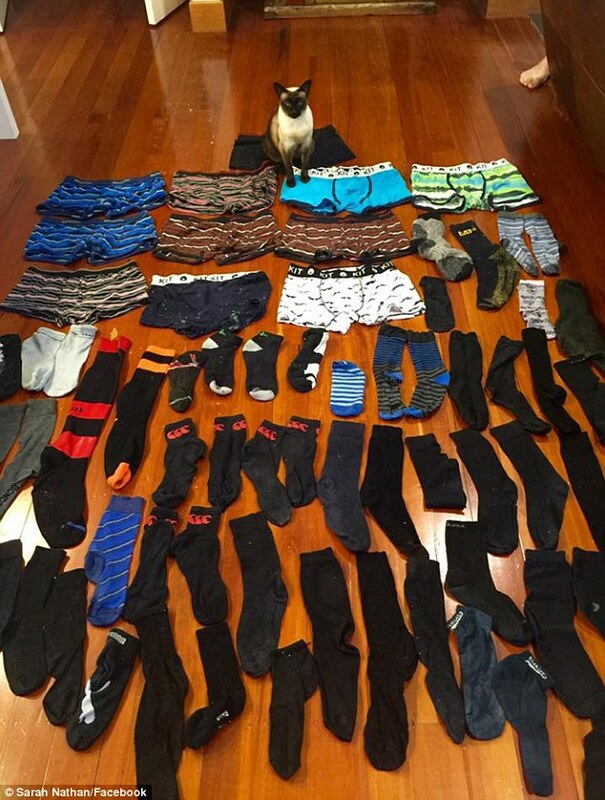 In the past two months, Ms Nathan has discovered 11 pairs of men's boxers and more than 50 socks that she didn't recognise. 'It's all men's. It's really, really weird. She's got really specific taste,' she said. It is not the first time Brigit has pinched the neighbour's undies, Ms Nathan said. 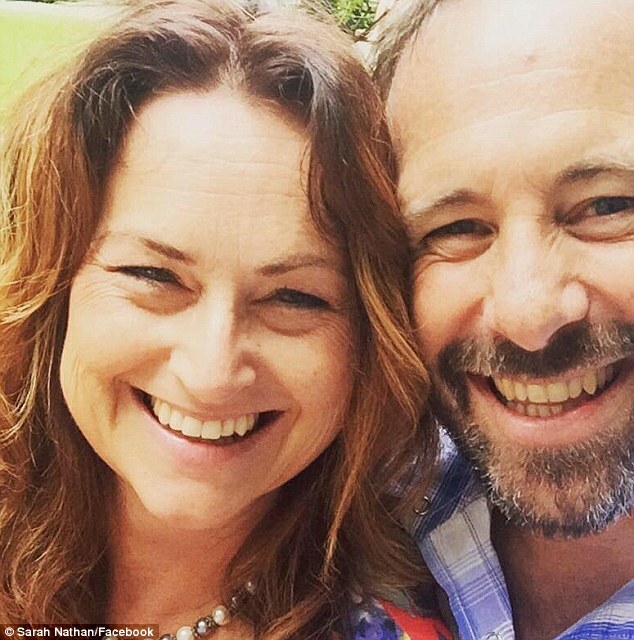 She stopped her shopping spree initially when the family moved to a new home six months ago but has picked up her old habit again over the past two months. 'It's an absolute obsession. A night does not go by without her bringing things home. I got up this morning and there were another four socks in the house,' Ms Nathan said. Ms Nathan said she often finds the garments in the bedrooms, or just outside the cat door and even tucked into the fence surrounding the home. Brigit also likes to grab socks in pairs and leave one at the front door and the other at the back door. 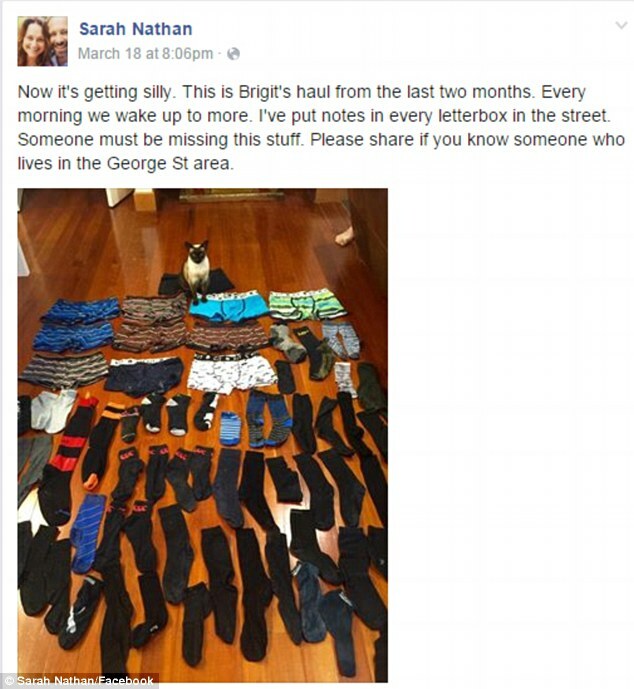 With the hope of tracking down the original owners, Ms Nathan posted a photo of all the garments she had collected from Brigit on Facebook to see if anyone would recognize them. The photo of Brigit sitting calmly behind her stolen treasures has received more than 800 times and had a lot of commenters laughing.